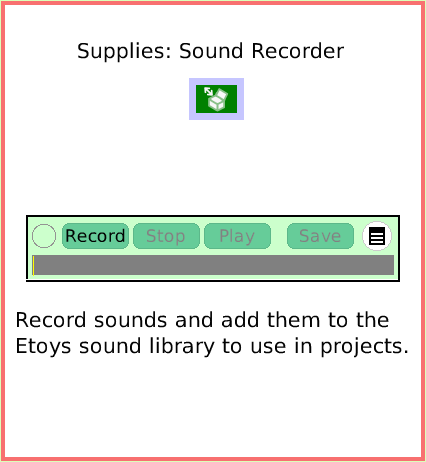 Text of this guide (for searching): Record sounds and add them to the Etoys sound library to use in projects. Supplies: Sound Recorder. Open Supplies and click on a Sound Recorder. 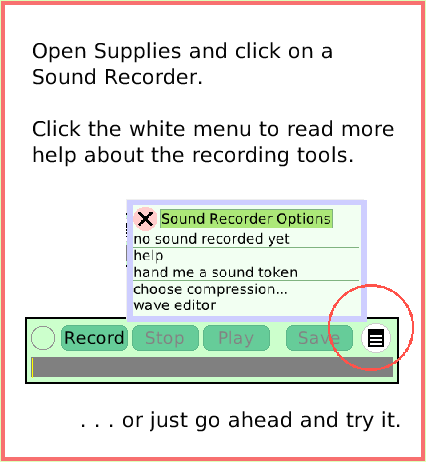 Click the white menu to read more help about the recording tools. . . . or just go ahead and try it. 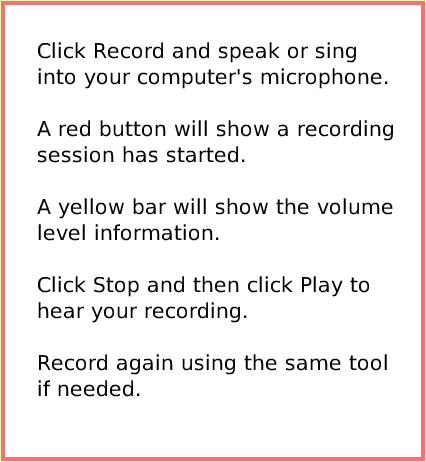 Click Record and speak or sing into your computer's microphone. A red button will show a recording session has started. A yellow bar will show the volume level information. Click Stop and then click Play to hear your recording. Record again using the same tool if needed. 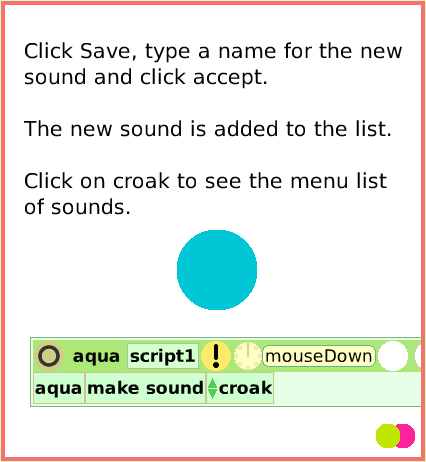 Click Save, type a name for the new sound and click accept. The new sound is added to the list. Click on croak to see the menu list of sounds.